Constantly on the Run? Then try this Quick &Easy Egg Recipe! Proteins are known as the components of life: in the body, they breakdown into amino acids that promote cell growth and repair, which makes them perfect tools for helping rebuild muscle after a workout. They also take longer to digest than carbohydrates, helping you feel fuller for longer and on fewer calories – another plus for anyone trying to lose weight. But if you’re under 35 and trying to stay fit, you might find that demands on your time and rising grocery prices are making it more and more difficult to design the right meal plan that meets your needs without breaking the bank, or taking hours to prepare. Here are a few basic protein sources to add to your diet. Foods in the legume family are good sources of protein and peas are no exception: a cup contains 7.9 grams, about the same amount as a cup of milk. For the record, women should get about 46 grams of protein per day, and men need about 56. If you do not like peas as a side dish, try mixing them into a pesto; peas, roasted pine nuts, fresh mint, olive oil and parmesan cheese make for terrific pesto to serve over linguine. Most grains contain a small amount of protein, but quinoa which is actually a seed is unique in that it contains more than 8 grams per cup, including all nine essential amino acids that the body needs for muscle growth and repair, but cannot produce on its own. In addition, it is surprisingly versatile: quinoa can be added to soup or vegetarian chili during the winter months, served with brown sugar and fruit like a hot breakfast cereal, or tossed with vegetables and a vinaigrette to make a refreshing summer salad. Eggs are a classic example of a super food. For starters, they’re cheap; you can get a dozen for under three dollars. They’re also a solid diet staple because they're packed with amino acids, antioxidants, and iron, making each 70-calorie egg which somehow manages to deliver 7 grams of protein a solid choice if you’re trying to stay lean. Of course, if you eat eggs the same way fried or scrambled every day, you might get a bit bored. 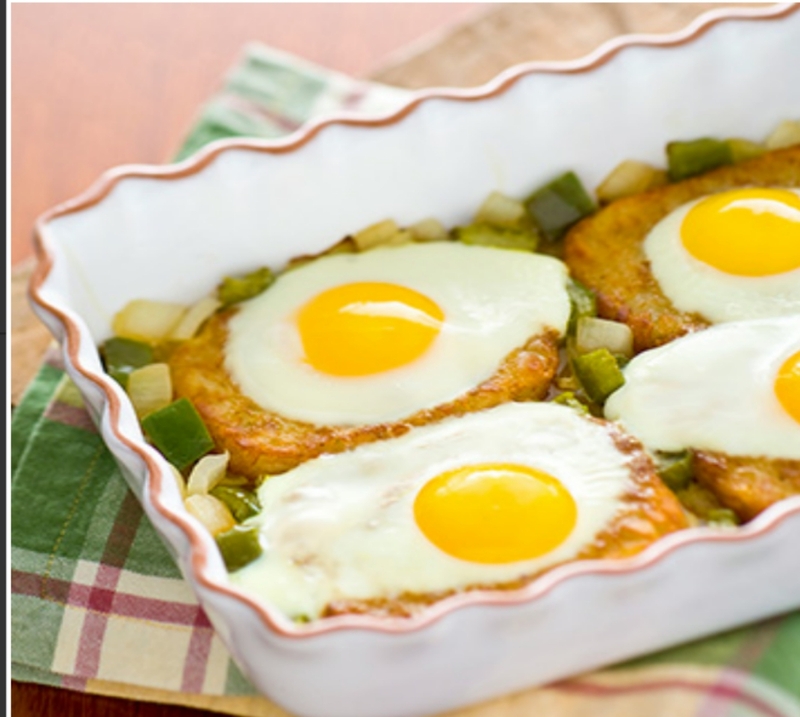 If you’re looking to mix up your game plan with easy-to-prepare and inexpensive egg options, check out www.getcracking.ca, where you’ll find dozens of simple and creative recipes. Here’s one that’s sure to please. This quick, one dish meal makes a perfect post-workout lunch or dinner. Simply spray the bottom of a 28 x 18 cm baking dish with cooking spray. Then sprinkle onion and green pepper generously over the bottom of the dish. Cook, uncovered, in a preheated 400°F (200°C) oven for 10 minutes. Now, push onions and peppers to the side of the dish, then place hash brown patties evenly on the bottom of the dish and bake until patties start to crisp, about 10 to 12 minutes. You can now use the back of a spoon or ladle to indent the middle of each hash brown patty. Carefully crack one egg into the indentation on each patty, and finally sprinkle salt and pepper over the eggs and bake until eggs are cooked as desired. Enjoy the goodness of eggs further by exploring the Getcracking site for even more fantastic protein-rich recipes for anyone on a budget. Your quick-and-easy meal plan just got a whole lot easier! It is a good source of protein.